Complete Tree Care works hard staying up-to-date on all modern strategies and safety protocols in the tree service industry in order to expertly manage your landscaping trees. Whether residential or commercial, our licensed tree professionals retain the proper tools, training, and knowledge to care for your trees. Call our office today at 317-783-2518 for information you can trust! 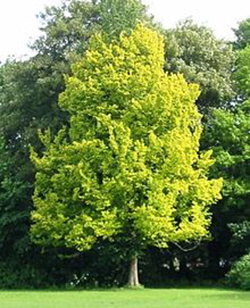 Tree care consists of several types of routine tree maintenance, most of which is preventative. This generally includes tree evaluations, trimming, pruning, shaping, and crown raising or reduction. Here at Complete Tree Care, we have more than three decades of experience as a licensed and insured tree service company in Indianapolis, IN and its surrounding areas! We offer a wide range of tree services, from small routine needs to massive commercial projects! Call 317-783-2518 to learn more. ONE TREE IS CAPABLE OF PRODUCING ROUGHLY 260 LBS. OF OXYGEN PER YEAR! When You Need tree care advice, We are the professionals who can help! Call Complete Tree Care at 317-783-2518 today! Complete Tree Care does not treat trees. We apologize for any inconvenience this may cause.